A revamped format for the sixth annual Bates College Arts Crawl this week will make it easier for audiences to savor the full spectrum of student work in the performing, visual, and literary arts. See the full schedule for the Jan. 29 event below. “This year the Arts Crawl features several art forms that have not figured strongly in our past presentations,” says James Parakilas, who chairs the Bates Arts Collaborative and is the James L. Moody Jr. Family Professor of Performing Arts. “These include film screenings, a photography exhibit, and a wish tree just outside Chase Hall,” he explains. To be shown in a Chase Hall space called the Arts Commons, the films will have an environmental theme as part of a greater involvement with the Arts Crawl this year by students in Bates’ environmental studies program. 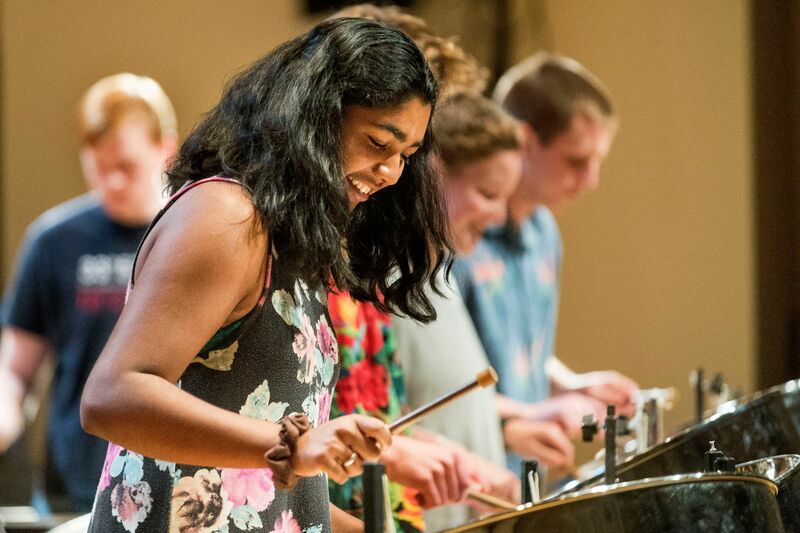 In other innovations, Parakilas says, the college’s Steel Pan Orchestra will make its first Arts Crawl appearance, and visitors will have an opportunity to try playing the instruments of the Bates Gamelan Orchestra. The event begins at 4 p.m. Friday, Jan. 29, with performances and exhibitions at Chase Hall, 56 Campus Ave. From 5:30 to 7 p.m., the focus shifts across campus to the Olin Arts Center, 75 Russell St. Starting at 5 p.m., Bates’ popular a cappella groups will sing in the Fireplace Lounge, Commons, 136 Central Ave. In Chase Hall, performers include dancers, actors with the student-run Robinson Players and members of the Bates Musicians Union, all in Memorial Commons, the former campus dining room that has been converted to an event space. In the Little Room, downstairs opposite the College Store, creative writers will read their prose and poetry in the Little Room. In Olin, senior studio art majors will welcome visitors to their studios. The Bates College Museum of Art, with three shows on the walls — including an acclaimed exhibition of digital montages by Maine artist Jeffery Becton — is open until 7 p.m. Performers in Olin include the Bates Gamelan Orchestra, singer-songwriters, the Bates Jazz Combo and the Steel Pan Orchestra. Finally, the event includes an exhibit of three-dimensional theatrical stage designs, which patrons of Asia Night will see when they enter the lobby of Schaeffer Theatre. Refreshments, prepared by Bates Dining Services, are key to the Arts Crawl experience. In store at Chase Hall are popcorn, hot chai and hot chocolate, apple crisp with vanilla ice cream and assorted cookies. In the Olin Arts Center lobby, treats include mini cheesecakes and mini “Death by Chocolate” cookies, along with bottled water to wash the sweets down. 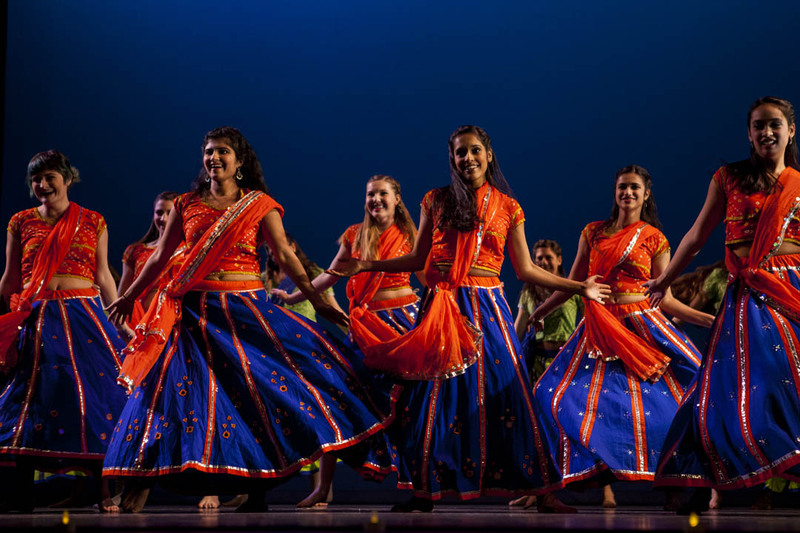 Both the Arts Crawl, produced by the Bates Arts Collaborative, and Sangai Asia Night, sponsored by the student organization Sangai Asia, are open to the public at no cost. For more information, please call 207-786-8212. 4:05pm: Kick-off with the Crosstones! 4-5:30 – Come hang your wishes here!